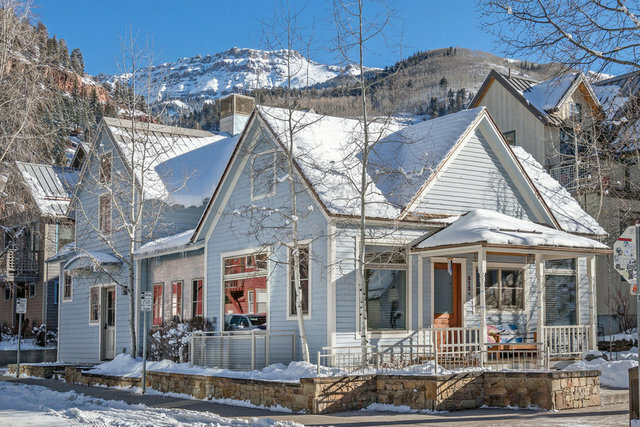 Exceptional residence of five bedrooms and four baths centrally located in downtown Telluride. The top floor master suite features a luxurious bath with a steam shower, open area closet, office space and private deck with hot tub. The main level is ideal for entertaining with a spacious gourmet kitchen, large open breakfast bar and great room. The lower level includes a large second living area. Popular restaurants are within a block of the home. Easy access to two ski lifts and the gondola. Featured on House Hunters.